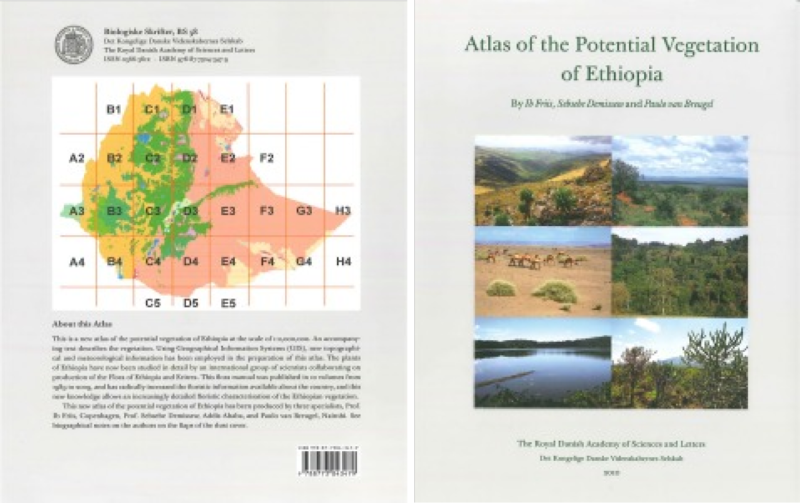 In July this year a new vegetation map of Ethiopia was published by the Royal Danish Academy of Sciences and Letters (Det Kongelige Danske Videnskabernes Selskab). For a project a few years ago we created a vegetation map for central and southwest Kenya (see here for more information). The map together with documentation was made available on CD-ROM. However, we wanted to publish the map online too. The original maps were in svg format, and turned out to be too slow for online publishing. Moreover, they could not be combined easily with other maps.